Publishing is no longer just about putting out a great product. It’s about connecting with your audience. Competition has never been greater. People are more distracted than ever. So how do writers connect with readers today? Last week in New York City I attended the Tools of Change for Publishing Conference, an annual gathering of innovators and thinkers to discuss the future of publishing. One of the panels I attended offered fascinating insights about some of the new ways that writers connect with readers. These suggestions came from panelists including Jacob Lewis (Figment), Amanda Barbara (Pubslush), Scott James (Red Hat Project), Mark Jeffrey (Glossi), and Allen Lau (Wattpad). Make sure to check out the creative things their companies are doing in the publishing world. Curate and maintain relationships. 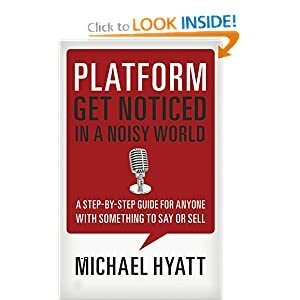 This is the first an d foremost way to connect with your audience and build your platform. Yes, it’s a way to do marketing but it’s also a way to build relationships and meet people. This connecting doesn’t have to be about your book. It can be connecting with people about life and everyday events. Make sure, though, that you are being authentic during all this connecting. Be voracious about connecting with readers via social media and make sure to respond to readers’ comments to keep communication a two-way street. Use pictures to connect with readers. Panelists encouraged authors to put out not just pictures of themselves, but pictures of a book’s cover, pictures of books arriving, and pictures of book signings. Give readers updates along the way. For example, “I’m in the middle of writing chapter five right now.” Giving regular updates ensures that readers are connected with each stage of the process. Continually create content beyond your book that appeals to your audience. If an audience is buying your book because they like your wit and charm, keep them engaged with that wit and charm on your blog, through social media, and in other ways. Seek out reviews. Sure, you can give away 100 copies of your book to friends and family and get them to write positive reviews. But does that really further your cause? Push yourself to get reviews from people you don’t know—and people who may not say nice things about your book. This will do more for your book than seeking out 100 positive reviews. One panelist said, “You haven’t really gotten your book out there until you get a negative review. Managing your emotional state through that can be really hard.” The panelists agreed that negative reviews can lead to better writing in the future. And finally, a word about taking things to the extreme and listening too much to the audience: Always remember that you are the writer. The crowd or the audience is not the writer. Yes, readers will give you feedback, but the choices about which direction to go in a manuscript are yours to make as the author. It’s important to write for your audience, but not to your audience. Otherwise your writing comes off as not authentic. I really appreciate this blog post. I can see that this panel would have been fascinating. I can see that there are some things that we can do better on our own blog. I think one of the biggest challenges is responding to all the comments. We appreciate comments so much and yet often unless they ask a question we read it and appreciate it but stop there. #6. I needed this. Last year when we had one out of the whole bunch of articles less than affirming I took it far much to heart. I’ll remember this next time that someone dares to give their honest opinion that it is truly an honor that they bothered to give one at all.